After doing my clothes, books and papers, I proceeded to apply the Marie Kondo method into other areas of my home and life. She calls this section komono or miscellaneous stuff. Here is how I used her methods with my own komono. 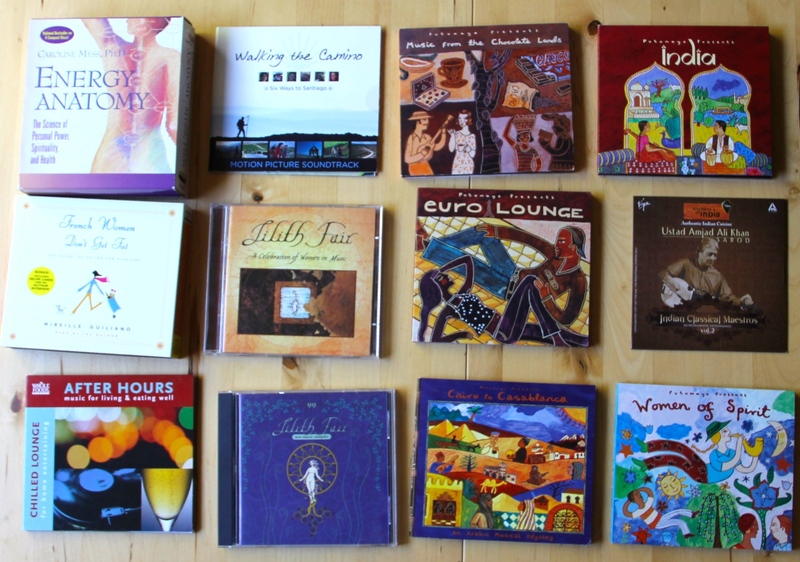 CDs were easy as I had spent last fall going through my 200 CDs one by one, listening to each one and downloading any songs I liked onto my computer. I then donated the CDs to my local library. 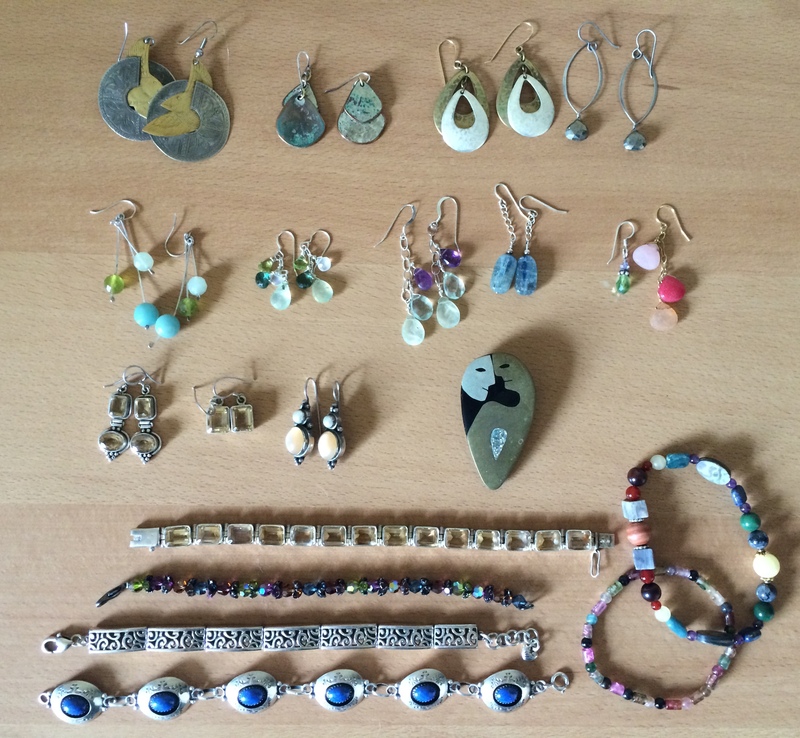 So here is my remaining collection (above). I looked at it and held it as I realized all brought me joy and were keepers. 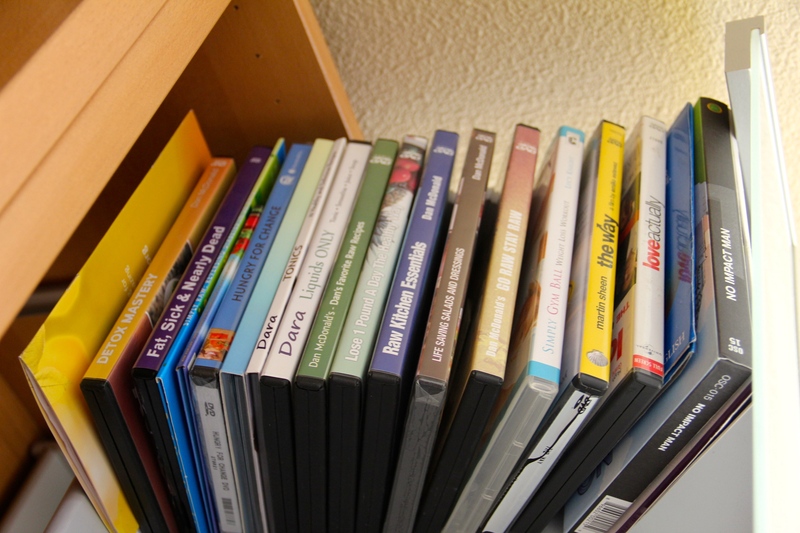 Next came DVDs. I took that painful last fall experience with the CDs and applied it to how best to deal with my DVDs. What I noticed was, even thought I took all that time to listen to the CDs and to burn the songs I loved, it has now been more than six months, and I have yet to listen to any of those songs I burned. What I also noticed was my computer is full due to downloading all those songs I don’t listen to. 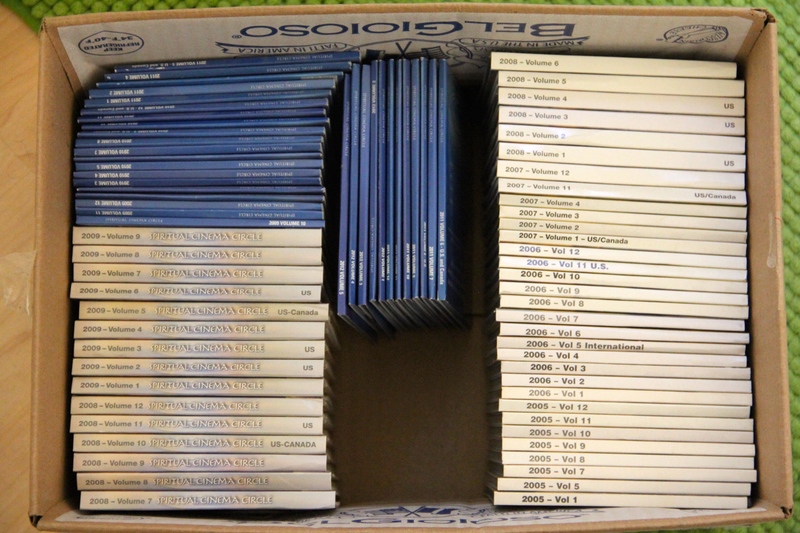 So this time I took the lessons from fall and decided to take my 80+ Spiritual Cinema Circle DVDs and just box them up and donate them to the library. No need to open each one, spend hours viewing or deciding-just donate and know, they are at the library should I wish to check them out in the future. I did photos next. 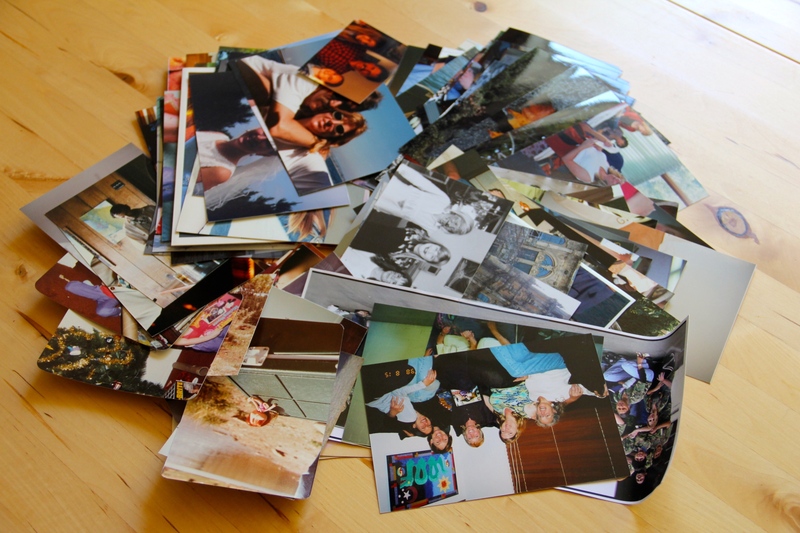 I have one box of printed photos. I enjoy having these older photos as prints that I can hold and look through like we used to do. I basically just thinned down the box so it wasn’t bursting at the seams. I removed bad photos, any duplicates and then I saved my favorite one or two photos from specific memories (versus a whole set of images from one memory). I shared the photos I no longer want with my daughter if they pertained to her. She can go through and keep any she wishes to retain, the rest went in the trash. Marie Kondo doesn’t really speak about digital clutter, which I believe is important to manage. I am now going through my photos on my computer and my phone and using her method for asking if they give me joy. My goal as a photographer who loves to take photographs is to stick with 12,000 photos and do purges twice a year. Next came the bathroom and going through personal care products and make-up. This is an area that was by far one of my largest areas two years ago when I began my simplification journey. It has now become much more tame and less complex. These dispensers allow me to buy in bulk and not have any bottles around the tub. 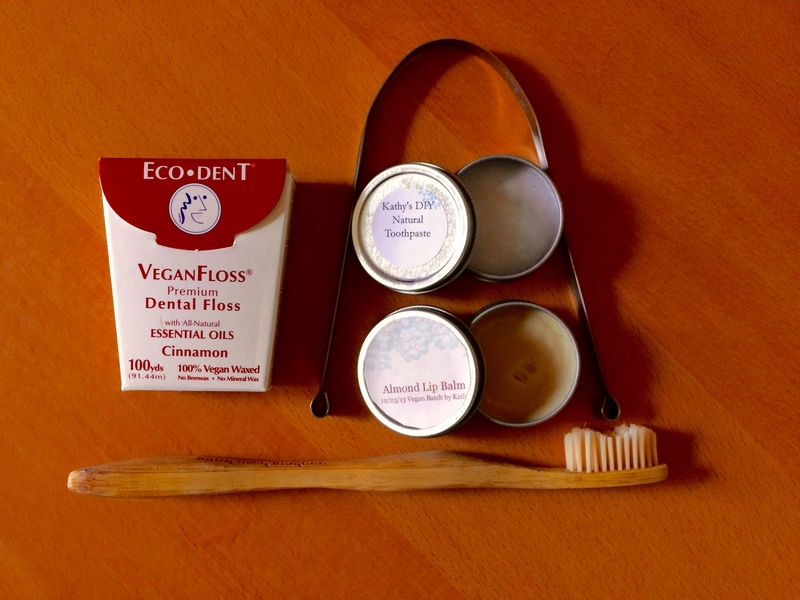 My favorite oral care items are Eco-dent vegan floss, Bamboo toothbrush, Tongue scraper and my own homemade toothpaste and lip balm. One way to freshen up my make-up was to toss 90% of it and get some new items from Pacifica. Their line is cruelty-free and 100% vegan. They have more natural ingredients, are eco-conscious, feel soothing, are reasonably priced and the woman who began this company is from Portland! Can you tell I’m excited about it! 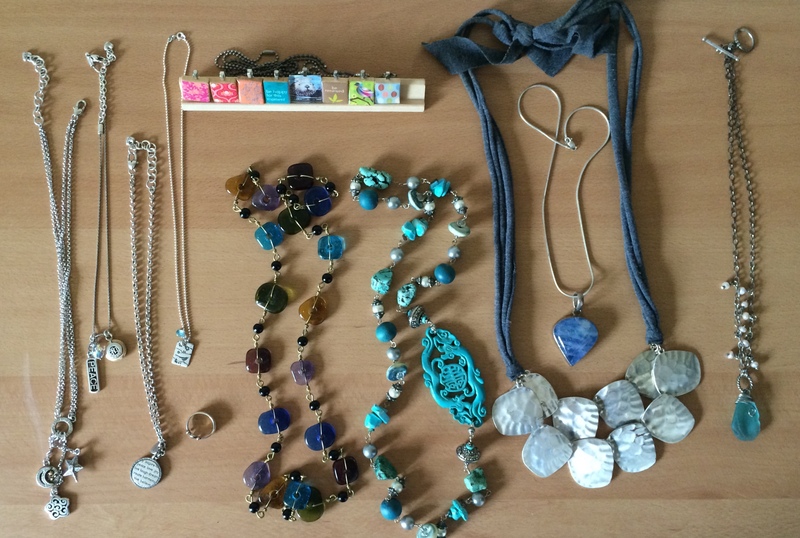 Next I went through my jewelry and decided to keep about 80% of it that does give me joy. I also want to wear some of my pieces more often. If they truly give me joy, then I should wear them for goodness sake! I still have quite a few miscellaneous sections of my home to go through. I appreciate the new ways Marie Kondo has given me for looking at my stuff. 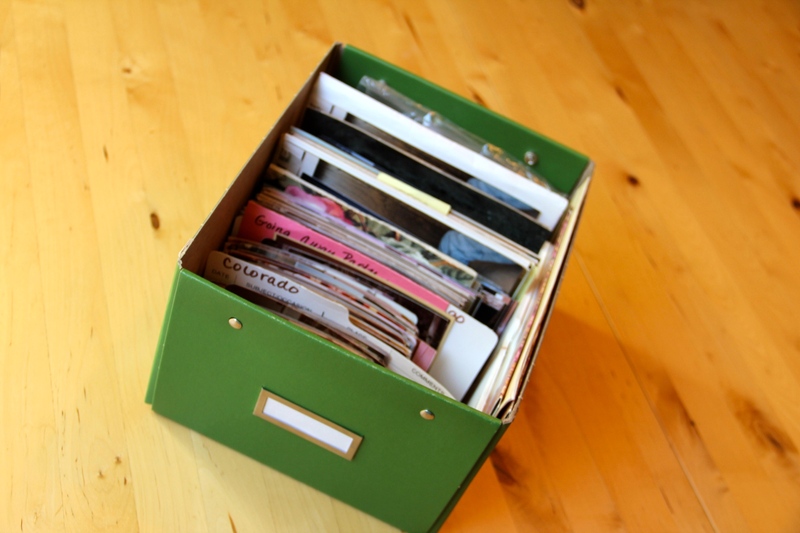 I also notice that after 3-4 rounds of decluttering that I no longer can deny things I am just not using. The first or second time around, one can delude themselves that you will use it soon…but by time three or four, if you haven’t used it, you are not going to! There is a sense of freedom in letting go of things I am not using as it’s less for me to manage and gives someone else the chance to appreciate it. I sometimes wonder if people in third world countries could see what us American’s are going through with all this new decluttering phase, would they laugh or cry? We have become so much about collecting and adding…I am grateful to take the time to pause and select what is of most value to me now. Have you tried any of Marie Kondo’s tips? And if so, which are your favorites? Please comment below. And happy decluttering! If you enjoyed this blog, consider subscribing via my front page to get email notifications when my next blog is posted. My hat’s off to you! I am still working on thinning out my belongings. I might just have to add that book to my collection so I can read it first, and then work my way through the house. 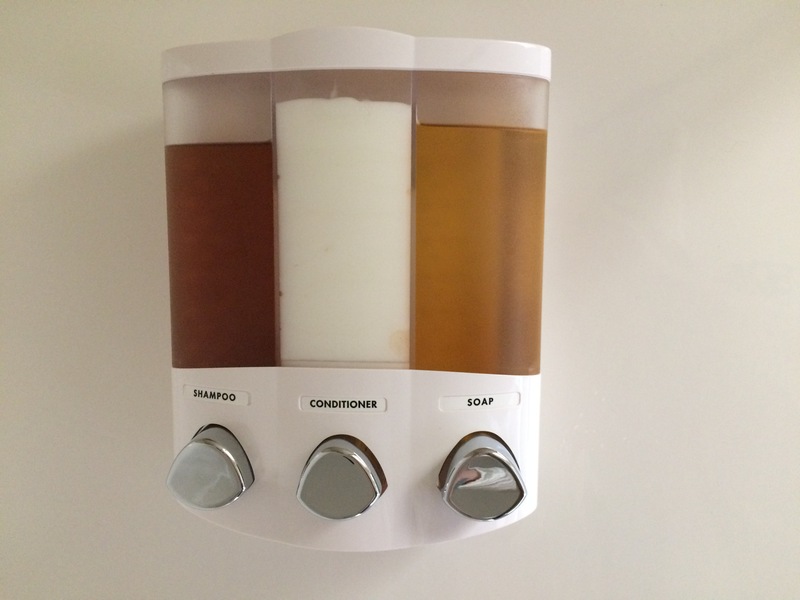 I like the soap dispenser in the bathroom, having fewer bottles and tubes would be heavenly. Thanks for sharing your experience. I’ve been taking lots of mental notes. Glad you have found my posts motivating. That makes me happy! Her book is great and taught me many new things. It is fascinating watching you apply the Marie Kondo method to your decluttering. I have read her book and have yet to put it into practice. As I librarian I would gently suggest that people call their library before donating. People dump boxes of old books on our doorstep all the time and we cannot use them. Then we have to find a way to dispose of these old books. The recycling depot won’t accept them unless the covers are taken off. 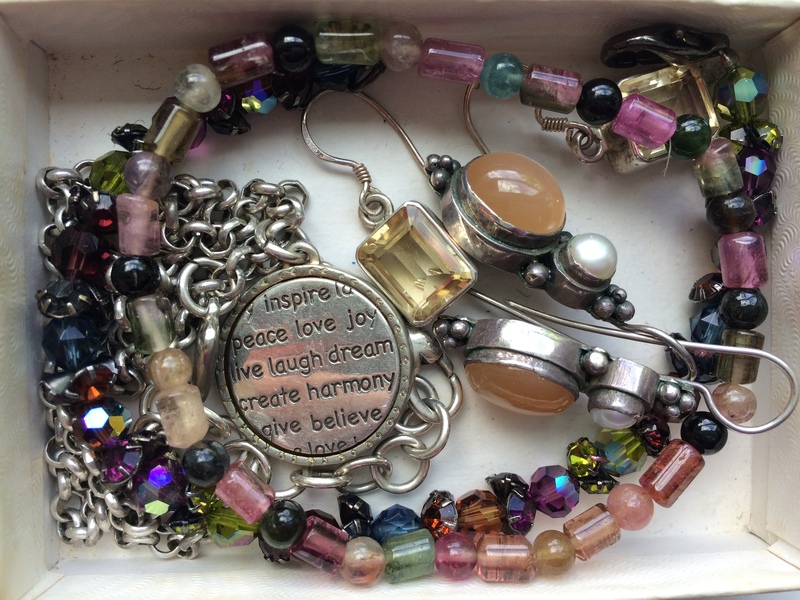 I totally relate to your comment about wearing the jewelry that brings you joy. I have a number of pieces I really love and yet I tend to forget them in the morning rush. Thanks Sharon for that tip about calling before donating to the local library. The librarians always smile and act excited when I bring my items in, but I will call next time to confirm they are indeed good with what I am offering. Glad you like seeing Kondo’s steps in action, I’m having exploring this new method and I’d encourage you to give it a try.